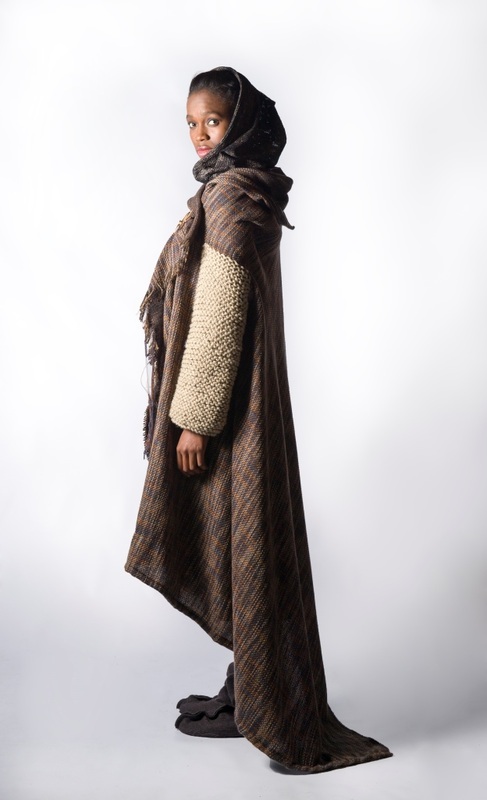 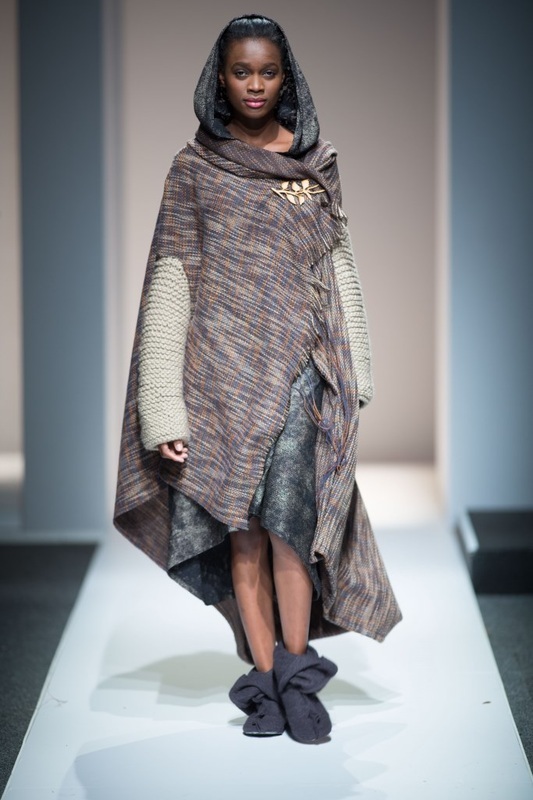 The Irene wrap was the first piece that I designed for this collection. 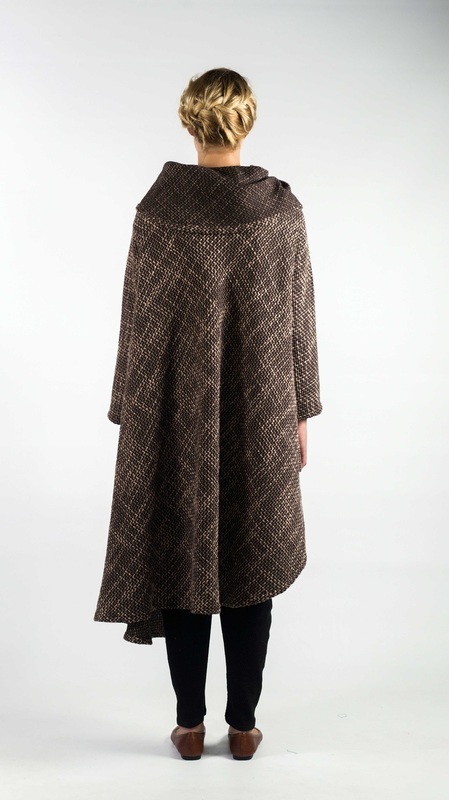 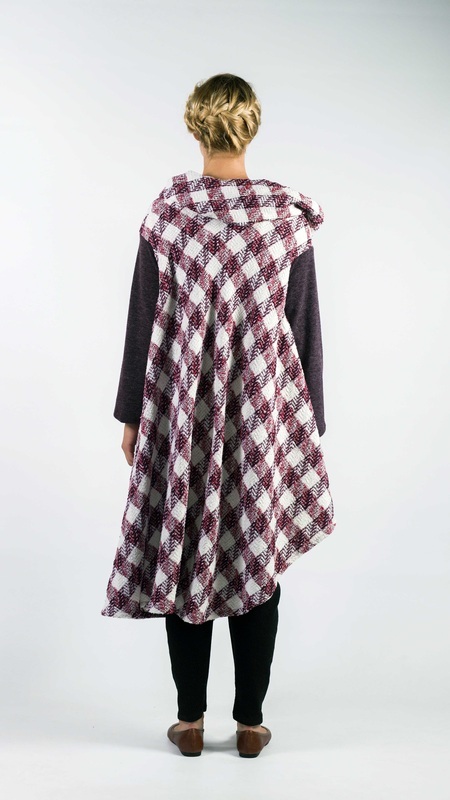 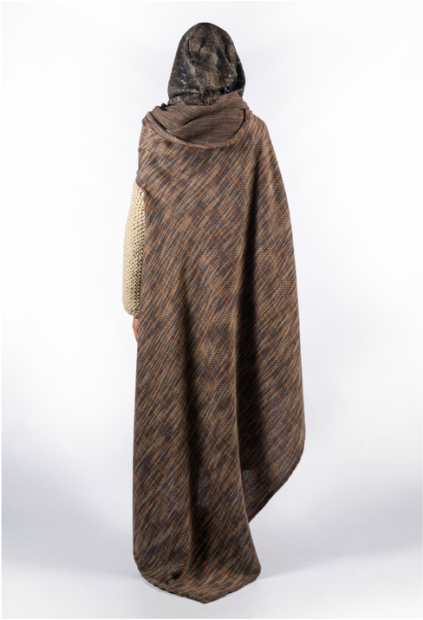 I was inspired by the texture and drape of the fabric to create an effortless looking cape. 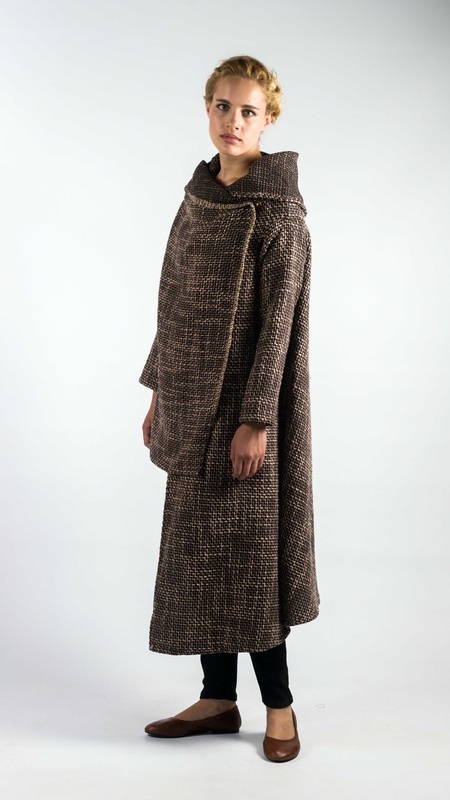 The Helen dress has undergone a few transformations, but this long sleeve, hooded dress is one of my personal winter favorites.